If your mantra is “Oh my Aching Knees or Back or Hips”, Deep Water Walking is for you. 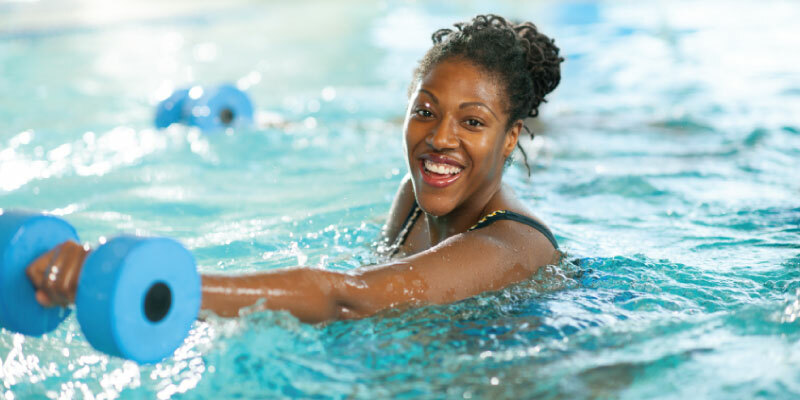 The volume of water in this class helps to soften the pressure that everyday functions put on your joints or spine. Now add a little fun music and you will think you just hit the jackpot!